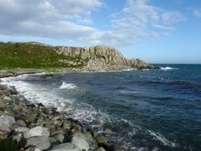 Welcome to Ceol na Mara Jura holiday cottage by the sea. Jura holiday cottage by the sea. 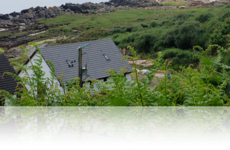 Ceol na Mara, gaelic for “song, or music, of the sea’ is our modern holiday cottage situated beside the shore at Crackaig Bay on the wild and beautiful Isle of Jura. 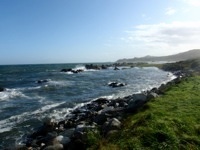 The 2 bedroomed cottage has stunning sea views over the Sound of Jura to Ghia, Kintyre, and the mountains of Arran beyond. On a clear day it is possible to see the Antrim coast. Otters, deer, wild goats, and seals are among the visitors that frequent the bay. A shop, hotel, bistro/cafe, doctor’s surgery, village hall (home to some rousing Ceilldhs) and the community service point, with free wi-fi & internet access, can be found in Craighouse, the island’s main village, just over a mile away.